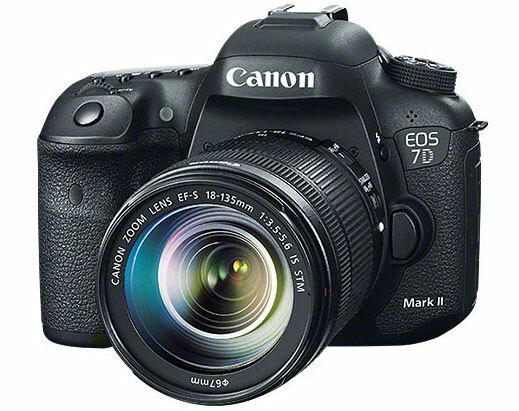 The Canon EOS 7D Mark II DSLR camera was initially scheduled to be released in November. 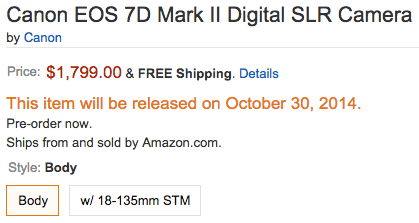 Amazon has now updated their listing and the latest DSLR from Canon is expected to start shipping on October 30th, 2014. What’s coming from Canon on October 18th? This entry was posted in Canon and tagged Canon EOS 7D Mark II. Bookmark the permalink. Trackbacks are closed, but you can post a comment.